Desperate to change their lives, Gigi, Ellen, and Lilly prepare to risk everything for love, health, and happiness. 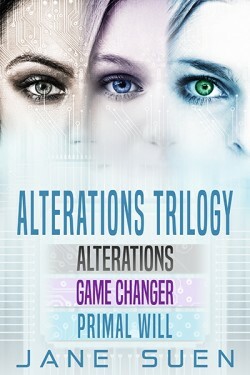 A secretive Dr. Kite with a novel chip implant offers a mind-controlling solution to these three women. But when unforeseen issues arise that wreak havoc on the city and destroy his warehouse, along with the discovery of two defective chips he’s implanted, Kite’s plans go horribly wrong. In the aftermath of the disaster, one woman seeks revenge for the doctor’s failings. Or is it more than that? Has she seen an opportunity to save herself? Will the women find the happily ever after they seek?